The Canadian Media landscape is forever changing. Keeping up with the all the buzz on what's happening around the country can be exhausting. 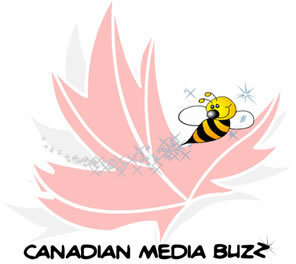 For this reason, Media Job Search Canada.com created Canadian Media Buzz. This is your opportunity to share your thoughts, ideas and kudos on the Canadian Media Industry. Does your station, company or office have news they would like to share? Is there a commercial, media event or news article that peaked your interest? Has someone been promoted at your company or contributed their time or services to help others? Good or Bad we'll post it all. E-mail us your news and we'll post here. Space is limited so send your information in text format only as no pictures will be posted. All stories must be submitted with a contact name and e-mail address. If you would like to remain anonymous in your posting, you must indicate this in your e-mail, but your contact name will be kept on file.Please note: By submitting your stories, you must agree that Media Job Search Canada Inc. is not liable for any derogatory statements that may inflect harm to any individual person or company. There is no compensation for submissions. Stories received will remain posted for up to 30 days. The opinions expressed below are those of the authors of stories submitted and do not necessarily reflect those of Media Job Search Canada Inc.
OUR MEDIA BUZZ BEE IS WAITING TO HEAR FROM YOU ON YOUR SPECIAL EVENTS, MEDIA ANNOUNCEMENTS, PROMOTIONS WHATEVER! We invite you to send the "BEE " your info and she'll sting it right here, for free.